Are you ready for HOTCON 2015? 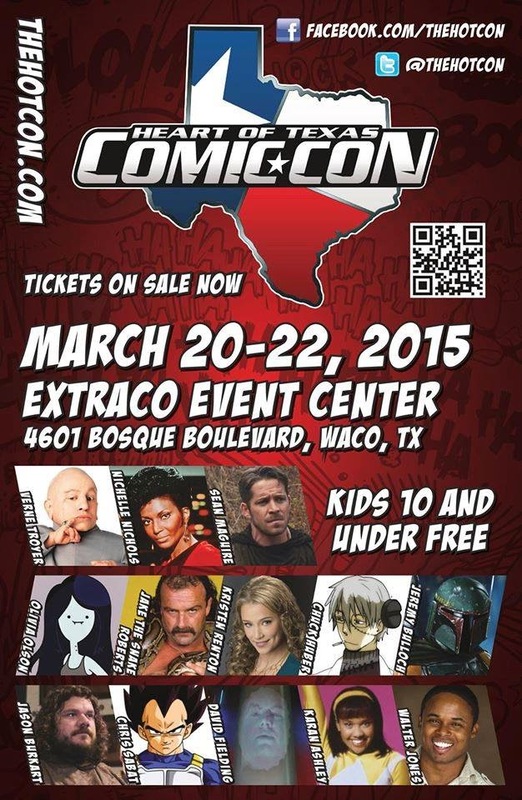 It's just around the corner, and will be back in Waco, Texas, on March the 20th to the 22nd at the Exhibits Hall & Creative Arts Building of the Extraco Events Center. Filled with fun for the entire family, HOTCON 2015 will have everything from your favorite celebrity guests, to cosplayers, to vehicles from popular TV shows, comic book artists with credits from Marvel, DC, Warner Bros, Disney, Hanna-Barbera and more. Come meet the Teenage Mutant Ninja Turtles or Jack Skellington from the Nightmare Before Christmas. Wear your favorite costume to the show and enter our cosplay contest, get your picture with the Impala from Supernatural, or get a crazy amount of loot from the artists and vendors. There's so much to do it will take the entire weekend to pack it all in your schedule. Celebrity guests will include Nichelle Nichols from Star Trek, Verne Troyer who played Mini Me in Austin Powers, and wrestler Jake “The Snake” Roberts. Come meet guests Walter Jones, Karan Ashley, and David Fielding from the Mighty Morphin Power Rangers or Sean Maguire and Jason Burkart from Once Upon a Time. We'll have voice actors like Christopher Sabat and Chuck Huber from Dragonball Z and Olivia Olson from Adventure Time and Phineas and Ferb. 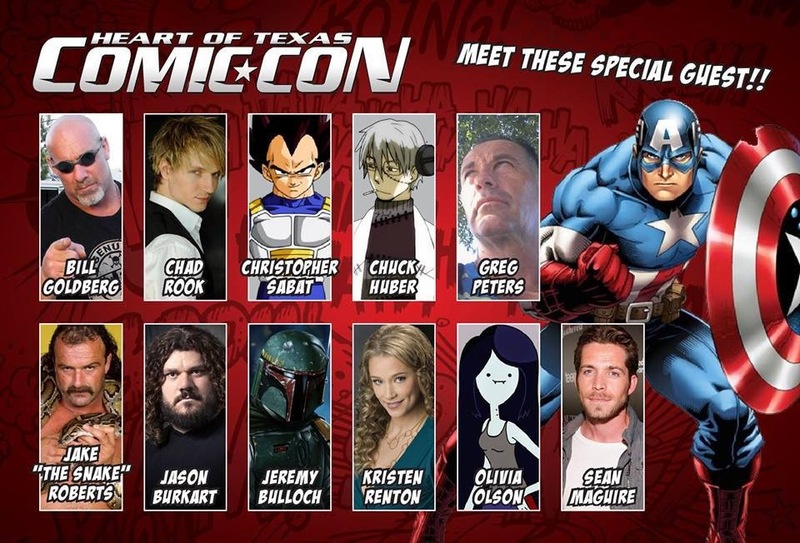 Also attending, will be Jeremy Bulloch who played Boba Fett from Star Wars, Kristen Renton from Sons of Anarchy, Darren Davis the owner of the largest independently owned comic book company Blue Water Productions, comic book artist John Lucas with credits from both Marvel and DC, and Waco's very own celebrity artist Greg Peters with credits from Hanna-Barbera, Disney, and Warner Bros. You won't want to miss this fantastic lineup of guests. Be sure to catch the free Q&A sessions for these celebs and get an autograph and photo op with them. Show hours will be Friday 3 to 8PM, Saturday 11AM to 6PM, and Sunday 11AM to 5PM. VIP pass holders will get into the building one hour early on Saturday and Sunday. There will be a parking charge of $5 per car. Kids age 10 and under will get into the show free and we have teacher, student, and military discounts. Early ticket purchases online will be discounted as well. You can purchase your tickets at thehotcon.com. Plus don't forget to follow us on Facebook and Twitter.